A spa day package deal is easy to come by in Berkshire - with its beautiful surroundings and magnificent tourist spots such as the grand Windsor Castle and the River Thames, it’s also a hive of activity. Within this stunning county we have venues such as the Savill Court Hotel, offering wonderful relaxing spa facilities as well as great value spa day packages. The Harte and Garter Hotel and Spa offers some superb spa day packages including treatments and use of the thermal suite in their spa. Who can forget the Fredrick’s Hotel & Spa - with its wide range of spa facilities and an indoor/outdoor pool it’s a perfect location whatever the weather. If you’re on a budget and would prefer a lower priced spa day package, then have a look at the Holiday Inn Reading – with is range of facilities including a pool, relaxation loungers, sauna, steam room and gym, and packages starting form only £35 per person, it could be your ideal spa day deal. For the perfect break you will love the new 2 AA Rosette 4 Silver Star Holiday Inn Reading M4 Jct10. Conveniently located in Wokingham close to Reading and is within close proximity of the M4, Bracknell & Wokingham and well placed for London on both the Reading to Waterloo and Paddington service (25 minutes) from the adjacent to Winnersh. . .
Overlooking the River Thames, the four star Crowne Plaza Reading Hotel is just a five minute bus ride from Reading city and the Oracle shopping centre, making it a good base if you want to explore the area, shop or just relax and enjoy your spa break. 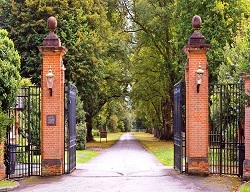 It’s within easy reach of Oxford, Henley and London by car or train.. . . The 4-star hotel comprises of 133 rooms extending over several characterful buildings clustered around a historic cobbled street by Eton Bridge in the centre of Royal Windsor. You will find a collection of individually styled bedrooms, a modern conference centre and the Wren’s Club with a gym, spa treatments, outdoor jacuzzi and sauna. With an award-winning restaurant overlooking the Thames, the. . . If you are looking for a luxury spa break then Fredrick’s Hotel & Spa, Maidenhead won’t disappoint. DEDICATED TO THE VERY HIGHEST STANDARDS of hospitality, Fredrick’s is one of those rare and delightful discoveries; a truly luxurious, privately owned hotel where service is second to none. Berkshire’s hidden gem offers you an oasis of calm refined luxury, where every aspect of. . . Copyright Spa & Hotel Break 2017. All Rights Reserved.